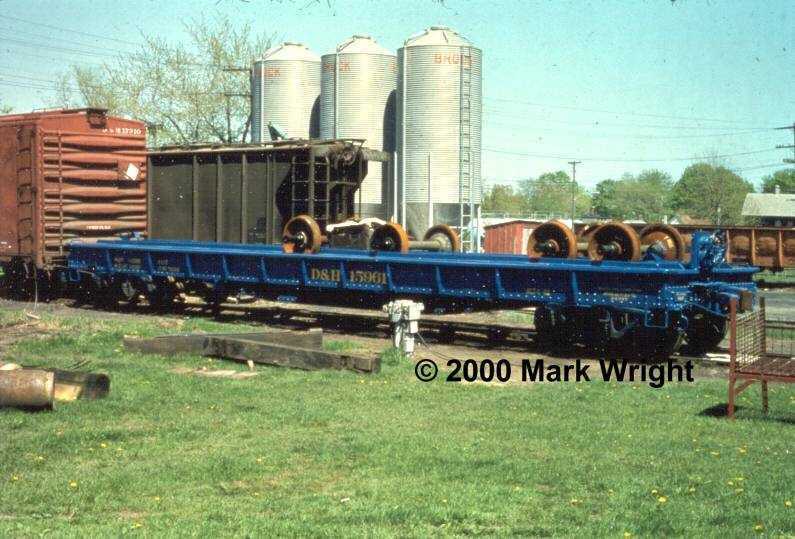 I came across a photo here (http://www.trainweb.org/dhvm/images/dhr ... 961-01.jpg) of a blue D&H flat car with some wheels on it. The car looks to be freshly painted. Does anybody have any more information about hti car? I would like to build a model of it but have no idea when it might have been painted blue, what era it is from, etc. Also, anybody have any other pictures?